St. Francis when young, dreaming of a hunchback. 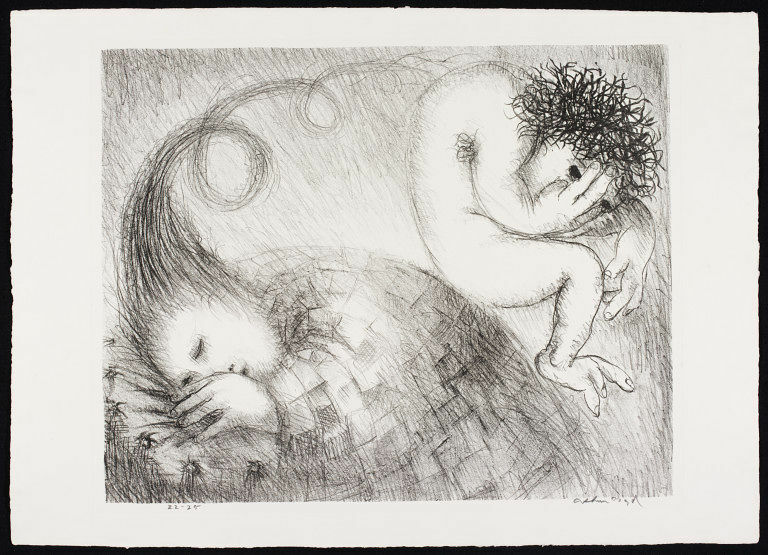 Lithograph titled 'St. Francis when young, dreaming of a hunchback'. 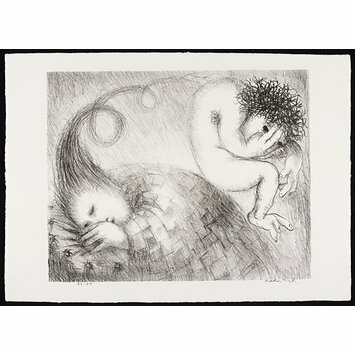 Signed in pencil 'Arthur Boyd', and numbered '22-25'. St. Francis is shown asleep, with the figure of a naked hunchback hovering above him. 'St. Francis when young, dreaming of a hunchback'. Print by Arthur Boyd (born 1920) from a set of 21 lithographs themed around St. Francis of Assisi, published in 1965. The edition was limited to 25 sets.